It a pleasure to welcome you to todayâ€™s briefing on the outcome of the International Bonn Conference on Afghanistan, held this past Monday (5 December 2011). I want to first thank my good friend Ambassador Peter Wittig of Germany, and through him, the Federal Republic of Germany for their generosity in hosting this weekâ€™s historic and important gathering in support of a stable, democratic and prosperous Afghanistan. It goes without saying that Germany has been one of Afghanistanâ€™s crucial partners, particularly over the past ten years, offering important support in various areas, including the training of the Afghan national police, building capacity of our state institutions, and assisting our reconstruction efforts. 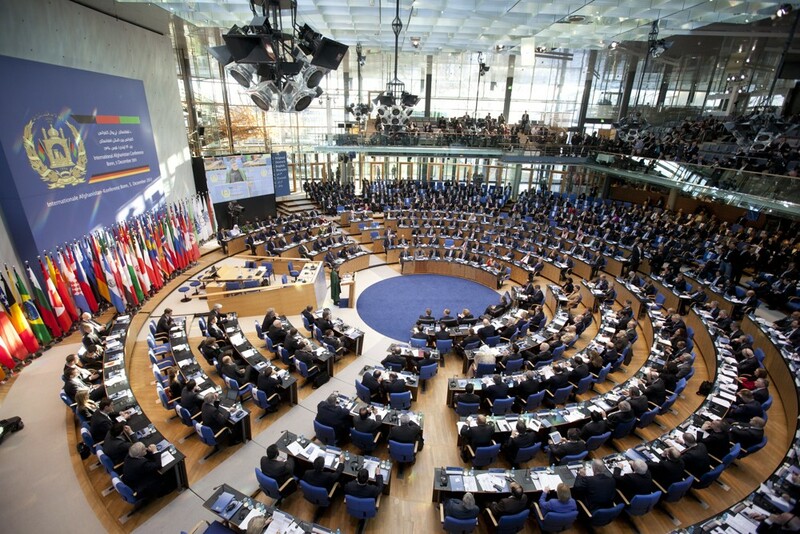 The Bonn Conference has been the largest international gathering on Afghanistan in history, with the participation of over a hundred delegations, from 85 countries and other regional and international organizations. 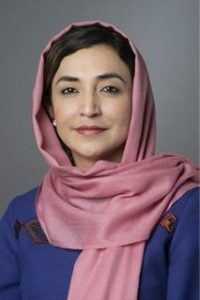 We have an inclusive political process that has brought all Afghans together in unity; our state institutions, which, only a decade ago, were either in shambles or non-existent, have been reconstituted; we have greatly improved our infrastructure; furthermore, Afghans, once denied fundamental rights, are enjoying unprecedented rights and freedoms, including the right to free expression, assembly and political participation; over 8 million children are enrolled in schools investing in their future, forty percent of whom are girls; 90 percent of the population have access to basic health-care; and 6 million refugees have returned from abroad. We can all take pride in these achievements. The conference convened at a time when Transition to full Afghan responsibility in meeting Afghanistanâ€™s security, governance and development needs is resolutely apace. We have completed the first stage of Transition, and have announced the second, which covers 18 provinces and districts. We are on track to announce the third stage in February, at the conclusion of which nearly half the population will come under Afghan security control. Transition is no longer a concept but a reality, a reality based in the belief that we must end this war, which is impossible to sustain and wrong to accept. The main message to emerge from this Conference is that Afghanistan stands ready to fulfill our responsibilities and obligations, while the international community remains committed to continue its support of our efforts. The outcome document of this conference, the â€˜Conference Conclusionsâ€™, has provided us a consensus agreement on the decade to follow Transition, that is, the Transformation Decade. It addresses several key areas: 1) Governance, 2) Security, 3) the Peace Process, 4) Economic and Social Development, 5) Regional Cooperation, and 6) the Way Forward. Firstly, on governance: we, the Afghan Government, reaffirm our commitment to a stable, democratic society, free of the scourge corruption and in which the rights of all citizens are protected. We are resolutely committed to strengthening our institutions and the rule of law, and ensuring a fully transparent electoral process, and also recognize the importance of civil society participation in this regard . In support of this goal, the international community rightly emphasized the need for a transition to a support role, focused on building Afghan capacity and sovereign authority, and also eliminating parallel structures to the Government. The Conference also emphasized the importance of the continued support of the UN in Afghanistan, which has been crucial thus far and for which we are grateful. Secondly, on security, the Conference welcomed our efforts to assume full responsibility for our own security throughout the country through the Transition, which has successfully begun and will be completed by 2014. The Conference also endorsed the international communityâ€™s commitment to continue supporting the training, equipping, financing and capacity development of our national security forces through 2014 and beyond. Terrorism remains the primary threat to security and stability in Afghanistan, a threat with regional and global implications. The Conference highlighted the regional dimensions of this threat, which must be addressed through sincere, constructive regional cooperation. Alongside the challenge of terrorism, we and the international community will continue to address the threat of narcotics, in a comprehensive manner. Thirdly, regarding reconciliation, we collectively underscored the importance of an inclusive and Afghan-led peace process. A successful reconciliation processÂ and its outcome will only be achieved with due consideration for the principles outlined in the Conference Conclusions, including the renunciation of violence, the breaking of ties with terrorist groups, and respect for the Afghan Constitution. A successful outcome will also reinforce a sovereign, stable and united Afghanistan. Here again for the regional dimension of the process and its outcome is important. Fourth, with respect to economic and social development, the Conference welcomed our economic Transition strategy â€œTowards a Self-Sustaining Afghanistan.â€ Â As President Karzai said at the opening of the Conference, â€œThe Afghan people do not wish to remain a burden on the generosity of the international community for a single day longer than absolutely necessary.â€ To this end, we are committed to strengthening its public financial management systems, and improving infrastructure and trade connectivity and conditions for private and international investment. The Conference agreed to support our efforts in agriculture development and well-regulated mineral resource use, as the backbone of our long-term economic growth. We are pleased at the assurances of the international communityâ€™s support for our economic strategy through Transition and beyond, in line with our National Priority Programmes. Equally important, our partners recommitted to channel greater portions of aid through our national budget and with increased coordination. Moreover, the international community pledged its continued support throughout the Transition process â€“ including addressing the economic impact of Transition â€“ and into the Transformation Decade, consistent with the Kabul Process, until the gains of Transition become self-sustaining. Fifth, regarding regional cooperation â€“ the Conference reaffirmed that stability and prosperity in Afghanistan depends on stability and prosperity in the region, and encourages strong, sustainable cooperation to this end. The Istanbul Process, begun last month, is a key step in this direction. For our part, we welcome the international support for our long-term development with a view to regaining our historic role as a land-bridge in the heart of Asia, and meeting our full economic potential. The Conference also recognized the issue of Afghan refugees, and the need to work towards their voluntary, safe and orderly return. 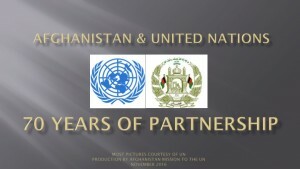 And finally, on the way forward for Afghanistan – the international community has agreed that after Transition, after 2014, comes a decade of Transformation, whereby a fully functioning and sovereign Afghanistan continues to engage with the international community to help build peace and stability. This is a vision presented by the Government and wholeheartedly supported by the Afghan people, and the international community has committed in Bonn to supporting it, through deepened and broadened partnerships with Afghanistan through the Transformation Decade. For our part, Afghanistan will continue to improve governance, and seek to contribute positively to peace and security in the region and beyond. This Conference has been a joint endeavor to frame our long-term partnership with the international community. As we proceed with Transition, we look forward to continued international engagement, an engagement which will serve our mutual interests, benefitting peace and stability in Afghanistan and the world. For our part, we are determined to do our utmost to fulfill our role and obligations. The future can only be shaped by the fulfillment of commitments. We should spare no effort to fulfill those we made together in Bonn.Â Let us work together, first for a successful Transition, to set us firmly on the path towards a successful Transformation. Only by doing so can we secure the future we all want.